Among his many skills and hobbies Charles Dodgson (1832–1898), a shy, eminent Oxford mathematician and lecturer, took an early interest in photography when it was still a wondrous new invention. Dodgson loved taking pictures and he constantly sought out subjects for his photographs, especially children. His life changed profoundly when he was introduced to Dean Liddell and his children. When Liddell, a photography enthusiast himself, became better acquainted with Dodgson, he invited the young man to take pictures of his family. Dodgson began spending time with Liddell’s daughters Lorina (known as Ina), Alice, and Edith, and their brother Harry, often taking them on picnics and boating trips. The ‘golden afternoon’ of July 1862, would prove transformative for them all. Years later, Alice Liddell recalled the day: ‘The sun was so hot we landed in meadows down the river, deserting the boat to take refuge in the only bit of shade to be found, which was under a newly made hayrick. Here from all three of us, my sisters and myself, came the old petition, ‘Tell us a story,’ and Mr Dodgson began it.’ He made it up as he went along.’ Ten-year-old Alice begged him to write down for her the story that he’d told. He complied and sat up the entire night working on a draft, which he eventually made it into a green leather booklet called 'Alice’s Adventures Underground', illustrated himself; and given it to Alice as a Christmas gift. Dodgson shared his story with a select few, including his friend Henry Kingsley, a novelist, who urged him to consider publishing it. He expanded and revised the manuscript, commissioned John Tenniel (already celebrated for his political cartoons for 'Punch') to do the illustrations, and submitted it to Macmillan and Co, who agreed to publish 'Alice’s Adventures in Wonderland'. The book was initially released in 1865, but only fifty copies of a planned edition of two thousand were issued. Publication ceased when an unhappy Tenniel insisted on suppressing it because of imperfections in the printing process, which had affected his illustrations. Those who had purchased early copies were asked to return them to the publisher, and Macmillan donated the rejected books to children’s hospitals. After the necessary corrections were made and a new printer was found, 'Alice' was published, in 1866, in an edition of four thousand. ‘Alice’ was an instant success and sold out right away. ‘Alice in Wonderland’ is, a side from ‘Shakespeare’ and ‘the Bible’, the most widely translated and quoted book of all time. Fastidious in everything he did, Dodgson went so far as to conceal his own handwriting. When he had to handle official correspondence for Lewis Carroll, he’d ask someone to copy out his response. And most of the letters he received for ‘Lewis Carroll,’ he marked ‘Return to sender.’ Request for photographs, even from relatives, were routinely denied. There was only one exception, her Majesty Queen Victoria. The Queen loved 'Alice' an its sequel 'Through the Looking-Glass' so much that she wrote a letter to Lewis Carroll, asking if he would send her the rest of his books. Unable to decline a request from the Queen, the humble author obliged as best he could, sending her numerous volumes – all by Charles Dodgson, and all mathematical texts, including the popular beach read 'Condensation of Determinants, Being a New and Brief Method for Computing Their Arithmetical Values'. Whenever the name Lewis Carroll arose in conversation, Dodgson would leave. There where some rare occasions on which he would admit that Dodgson and Carroll were the same man, he was then either speaking openly with friends or corresponding with children and encouraging their letter. 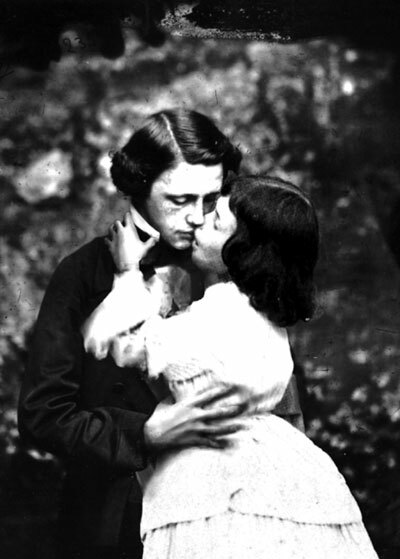 Until the end of his life he maintained a strict divide between himself and the fanciful Lewis Carroll. ‘For 30 years I have managed to keep the two personalities distinct,’ he boasted in a letter written three years before his death, ‘and to avoid all communication, in propria persona, with the outer world, about my books.’ He suffered increasingly from bronchial trouble, and he died on January 14, 1898, two weeks before his sixty-sixth birthday. See also Horus the Avenger.